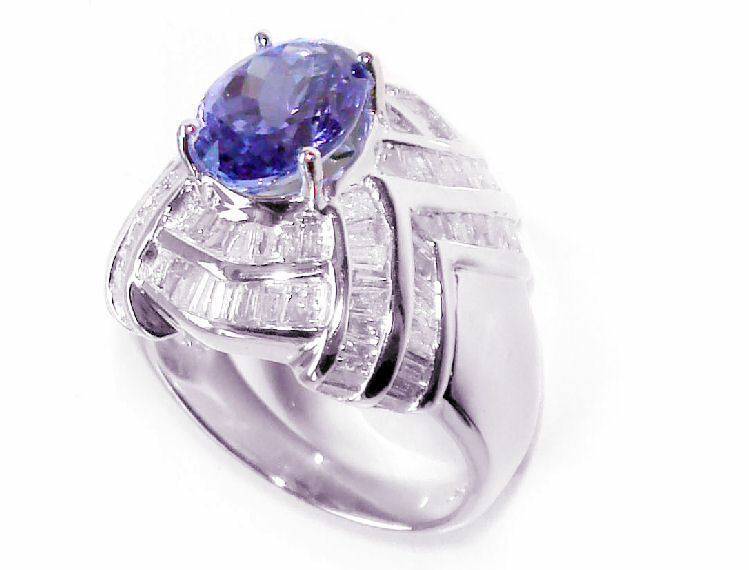 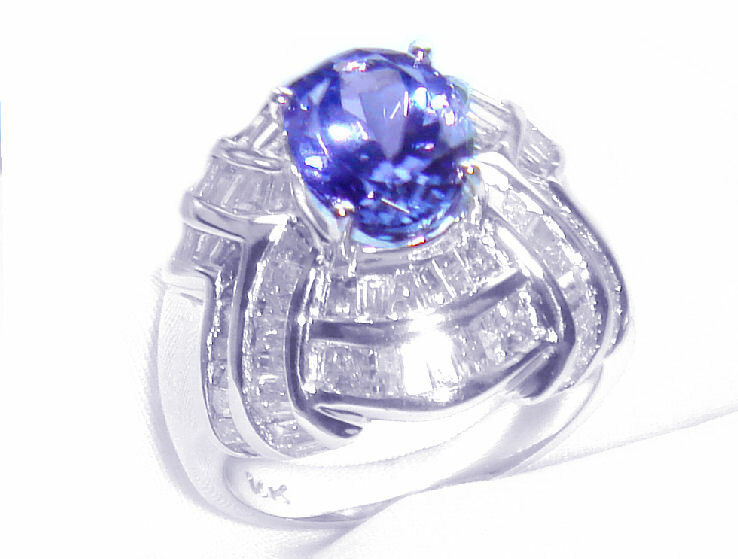 This spectacular 14K white gold ring features a dazzling oval tanzanite, beautifully surrounded by eight sections of baguette diamonds in a gallery setting. 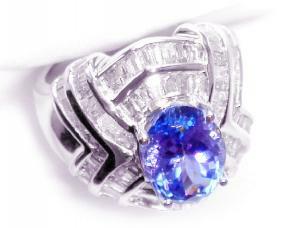 The diamonds add a subtle sparkle that's very tasteful and understated. 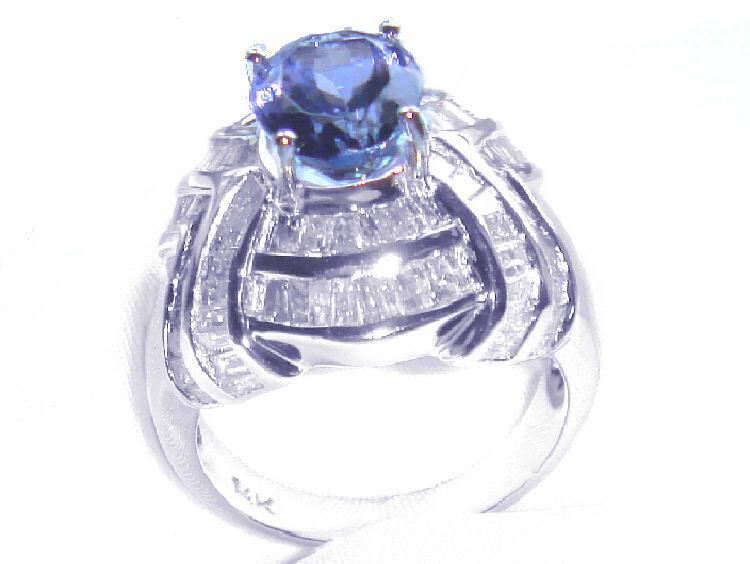 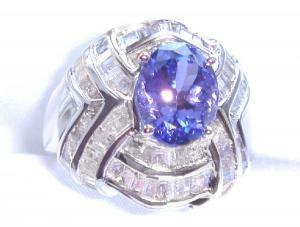 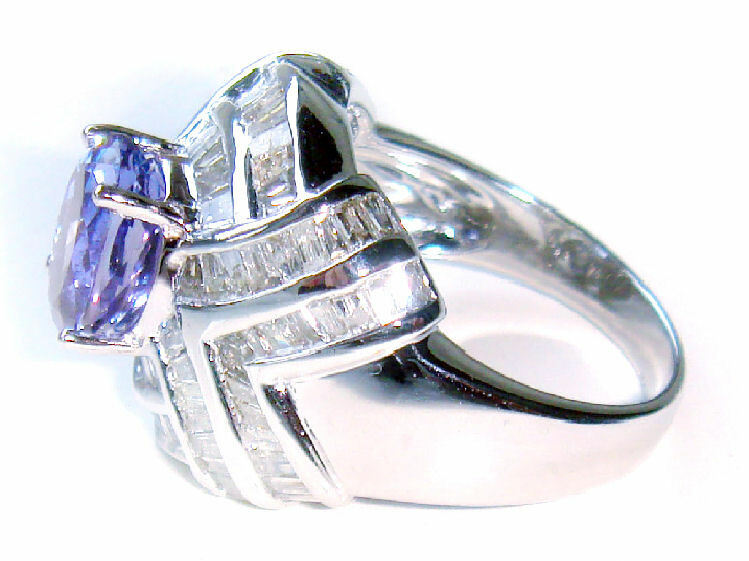 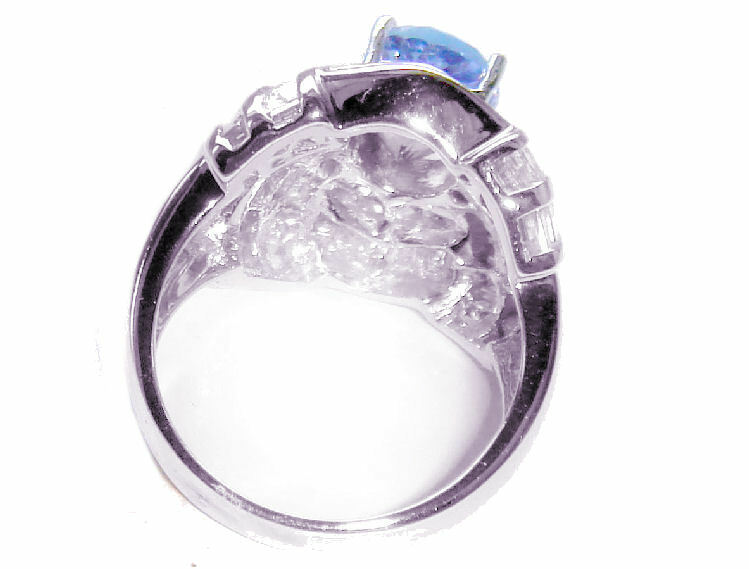 The weight of the tanzanite is 3.00 carats and the total weight of the baguette diamonds is 1.41 carats. The diamonds have I2 clarity and H colour. 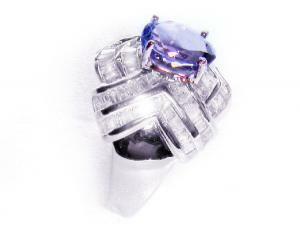 This ring can be resized from the current size O (UK) by your local jeweller or by us upon your request. 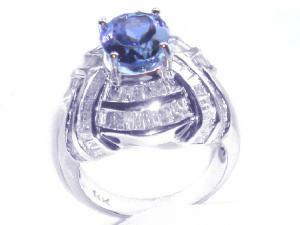 An independent jeweller's certificate is provided with this ring, with a valuation of £2,500.